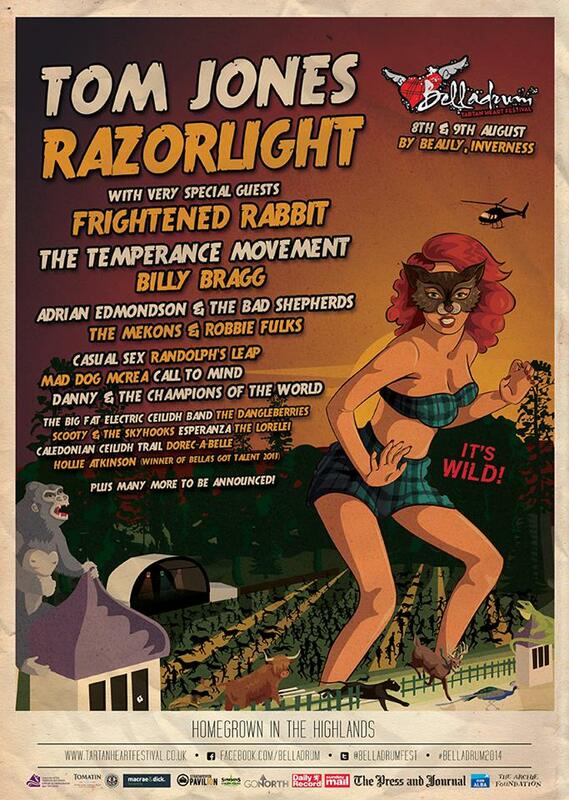 BELLADRUM festival has announced the acts to join the 2014 line-up including headliners Tom Jones and Razorlight. The festival, which takes place in Beaully outside of Inverness, have shared with fans that the legendary Tom Jones will headline Friday at this year’s festival, for what is believed to be his first ever performance in the Highlands. Chart-topping indie rock band Razorlight will headline the Garden Stage on Saturday. The headlining acts will be joined by Frightened Rabbit and The Temperance Movement, scroll down for our acoustic session with The Temperance Movement at Wickerman festival in 2013. Last year, Twin Atlantic headlined their first ever festival at Belladrum, with James closing the stage on the Saturday night. The Horrors, Seasick Steve and Nina Nesbitt also played over the two day event, which celebrated its 10th year in 2013. You can read our review of day one here and day two here. Belladrum takes place over 8th and 9th August 2014. You can buy tickets here.